NEW YORK/LONDON (Reuters) - Gold was on track for its fourth straight session of gains on Thursday as the U.S. dollar slid to its lowest in two weeks on concerns about the impact of high U.S debt levels and tax cuts. Spot gold added 0.2 percent at $1,352.81 an ounce by 2:04 p.m. EST (1904 GMT), after earlier hitting $1,357.08, its highest since Jan. 25. It had risen 1.6 percent on Wednesday, its biggest one-day gain since May 2017. U.S. gold futures for April delivery settled down $2.70, or 0.2 percent, at $1,355.30 per ounce. "The debt level will be a major cause of inflation, because it will signal higher interest rates," said George Gero, managing director of RBC Wealth Management. "The higher rates will come as a product of inflationary pressures from the $1.5 trillion infrastructure rebuilding and the rebuilding of Florida, Texas, California, Puerto Rico," he said, referring to weather-related disasters last year. The U.S. dollar index was down against a basket of currencies, earlier hitting a near two-week low of 88.585. The greenback has been hit by several setbacks this year, ranging from the possibility Washington might pursue a weak dollar strategy to the perceived erosion of its yield advantage as other countries end their easier monetary policy. Concerns about the growing U.S. fiscal deficit have also weighed on the currency. 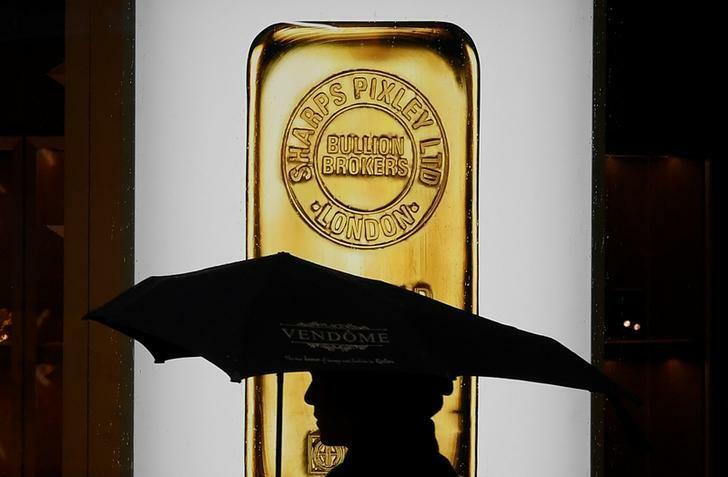 Inflation fears boost gold, which is seen as a safe haven against rising prices. But expectations that the U.S. Federal Reserve will raise interest rates to fight inflation make gold less attractive since it is not interest-yielding. "This latest debt comes at a time when people actually think the economy is rebounding and it could be even more inflationary," said Chris Gaffney, president of world markets at EverBank. BMI Research was neutral on gold prices because of mixed signals from wider financial markets, it said in its gold outlook. "Key resistance for prices comes in around the 2016 high of $1,375 per ounce and we would have to see this level decisively broken before calling for significant near-term gains," the research group said in a note. Meanwhile, silver dropped 0.2 percent at $16.83 an ounce after hitting a more than one-week high of $16.98. Palladium increased 1.2 percent at $1,012.50 per ounce after reaching a one-week peak of $1,020.90. Platinum decreased 0.06 percent at $995.99 an ounce, after hitting $1,007.10, its highest in two weeks.